We recently had family photos taken by local photographer Kris Allen. We had a hard time deciding which pictures to choose, so we bought the whole disc! Thankfully we have lots of wall space! 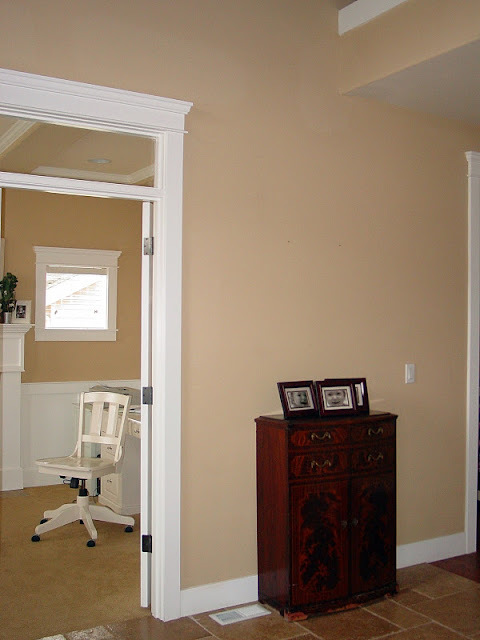 The entry is one area of my home that I hope to spend some time decorating this year. I've been keeping my eyes peeled for a new entry table/hutch/console. I found a great dresser at a garage sale this summer that would work, but the gal told me (no joke) that I could have it when her father died. So I gave her my number. Fingers crossed. Anyway, the one I found that I like is nearly $3000! Out of the budget. In the meantime, I will keep looking and instead work with what I have. During the mega Christmas sales, I picked up this huge frame (27 x 30) at Michael's for about 70% off. I knew I wanted to enlarge a picture (Costco does great enlargements) and put it in the entry. It had to be a horizontal picture to fill the space so that narrowed it down a bit. I settled on this picture. Only in color. My husband really wanted it matted, so I set out to find a mat to fit that mega frame. No luck. But I did find a mat that he could cut. It cost me about $6. It's not professional, but it works. The next step was hanging it. The picture weighs a ton. Well, more like 20 pounds. Definitely heavy enough that you should know what you are doing when you put it on the wall. 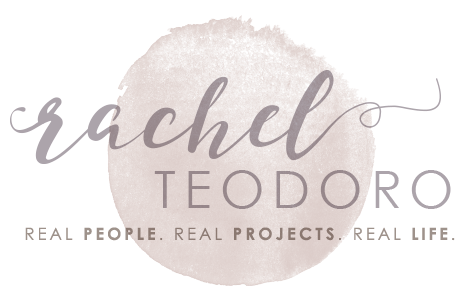 Normally I would just tell you that my husband hung it up, but lately I've had requests from readers to have him write some guest posts describing some of the projects he has done, and he agreed to give it a shot. 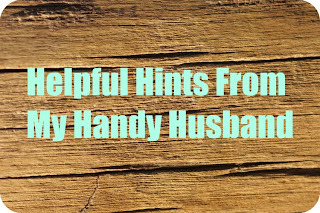 Which brings me to the exciting announcement of my newest monthly blog feature, Helpful Hints From My Handy Husband! I realize that I haven't formally introduced you all to my handy husband, so let me take a second to do that. This is my husband Mike. The two of us have been together for nearly 15 years. 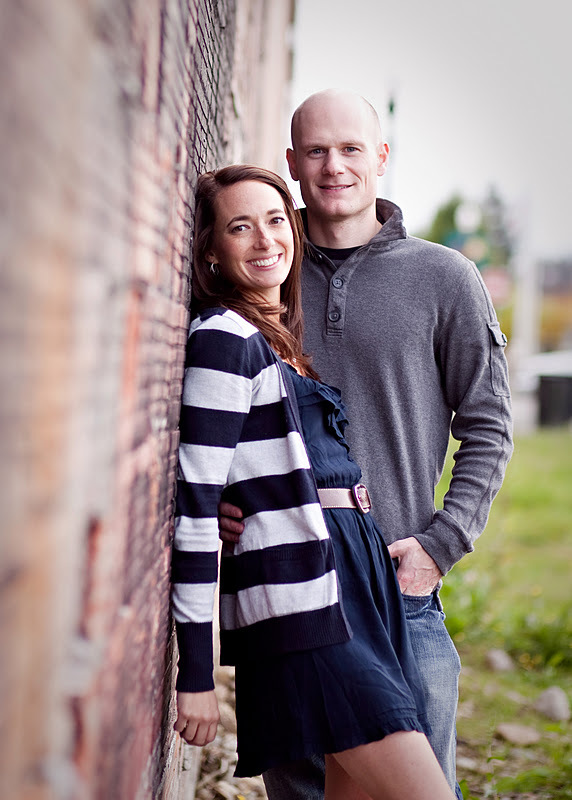 We met at Purdue University back in the late 90's. Purdue has a great engineering program, and that (and the possibility of meeting a lovely farm girl) drew Mike from the Seattle, Washington area to beautiful West Lafayette, IN. We met at a fraternity party my freshman year, and as they say, the rest is history. 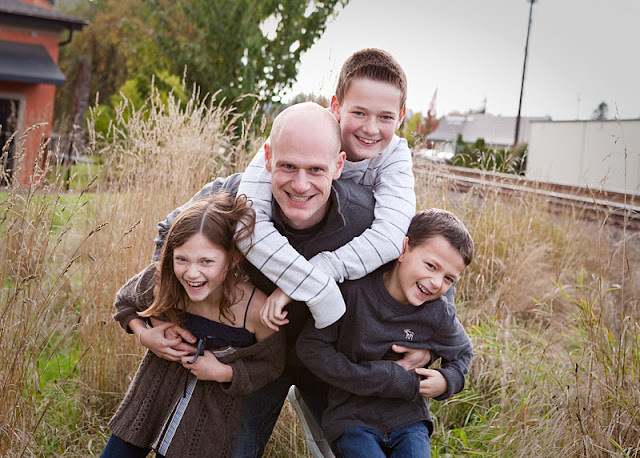 Mike is a great dad to our three kids. While I am usually looked at as the "fun parent", lets just say he isn't the one that you would ask if you wanted a cookie before bedtime. Mike is deathly afraid to shop for underwear (then the sales people would know that he wears it), and is known to be very particular in his every day life. And you all know what "very particular" is code for am I right ladies? It's not uncommon for him to refold his clothes after I do laundry or re arrange the dishwasher after I load it. Mike is a freak when it comes to math. You can give him a math problem and he takes like two point six seconds to figure out some crazy percentage or value. I remember grocery shopping with him once and the lady at the register rang something up wrong. While she got out her calculator to do the math, Mike started running numbers in his head. He can even impress the grocery clerk and if that ain't the sexiest thing you ever heard, I don't know what is! While I am not bent in the direction of being detail oriented or being a perfectionist, he most definitely is. While I am a dreamer and a visionary, he's the most rational logical reasonable person I know. I guess that's what makes us a good team. While Mike isn't a follower of my blog (he told me he won't join until I get 1000 followers), he does read along and his favorite posts are always the ones where I feature something that he has done and he gets to read all of the lovely comments that you guys post about how awesome he is. Which is probably why I think he decided to say yes to taking on a monthly blog post on Holy Craft. I don't think he's going to disappoint! 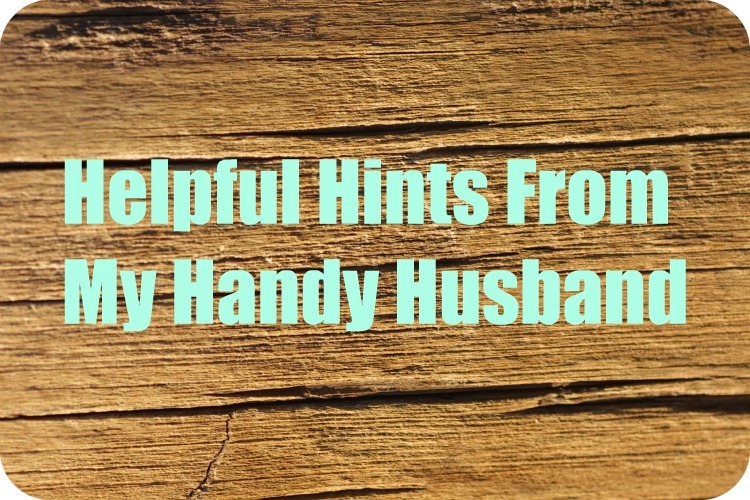 Tune in tomorrow for the the inaugural edition of Helpful Hints from my Husband, and be sure to let me know what you think. Great pictures! Your family is beautiful! 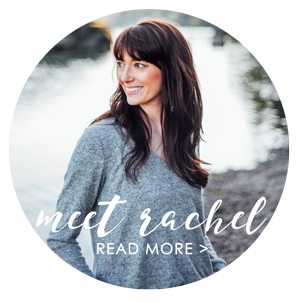 Aww, first you guys are the cutest, second, love that new graphic Rachel and the new series, how fun!!! Oh yeah forgot to add...Boiler Up! ;) Love it! Aren't you the cutest thing ever! Gosh thanks SO much for that sweet lil note about my bathroom remodel!!! Then when I come over here to say thanks, I see awesome inspiration for family pics, yours are DARLING!!!! I am following you now, oh and I would really appreciate you returning the 'love' on your next visit.